Have you ever suffered from edema? It’s possible you may have. Just in case you don’t know, edema is the medical term for fluid retention in the body. Water retention is nowadays a very common health issue. After you rule out any serious conditions, you could follow simple and effective steps in order to train your body to flush excess fluid. There are several reasons why it happens, many of which are not serious. In cases where that annoying swelling/puffiness is mild, you may be able to reduce water retention practicing the following homemade remedies. Bathing with Epsom Salt can help you get rid of water retention and a bloated tummy through reverse osmosis. It draws out excess fluids and toxins from your body. The relaxing bath also soothes sore muscles and calms the nerves. -Mix two cups of Epsom salt in warm bathwater. -Soak in it for about 15 minutes. -Repeat up to three times a week. According to studies, fennel acts as a diuretic and helps increase sodium and water output from the kidneys. It also prevents the buildup of toxins in the body, aids digestion and relieves gas. 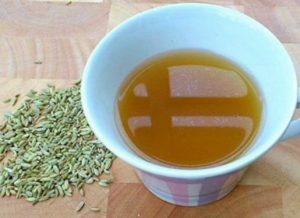 -Put one teaspoon of fennel seeds in a cup of hot water. -Cover and let it steep for 10 minutes, then strain it. 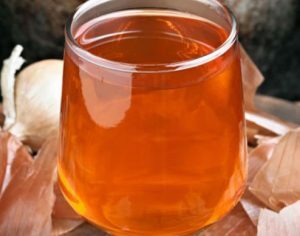 -Drink this tea three times a day until you see improvement. As you may know already, lemon juice helps flush out excess fluid and toxins from your body. 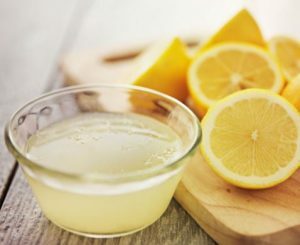 -Mix two tablespoons of lemon juice in a cup of warm water. You can also sweeten it with honey. -Continue taking this remedy once daily for a few days or until you see improvement. Studies show that dandelion has a diuretic effect. This makes dandelion a great homemade/natural solution for removing excess water from your body. 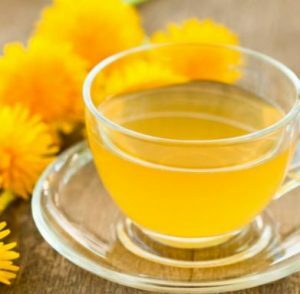 -Steep one teaspoon of dried dandelion herb in a cup of hot water for about 10 minutes. 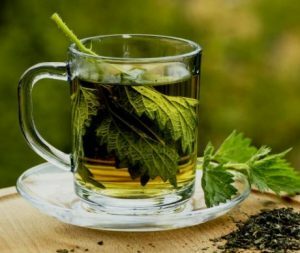 Strain and drink this tea up to three times a day. 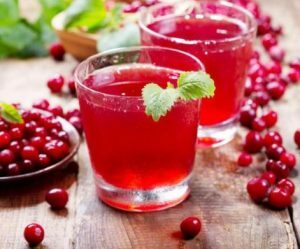 Cranberry juice is another popular home remedy to cure fluid retention due to its diuretic effects. It is also rich in minerals like magnesium, potassium, and calcium that help maintain proper fluid balance. -You can also take cranberry pills. For those who are especially into onions, bravo! Onions have diuretic and blood cleansing benefits. It will also prevent the formation of kidney stones. -Boil a few raw onions in four cups of water. -Add salt to taste and then strain the solution. -Drink two or three cups of it a day for a few days. This versatile herb is widely use in the kitchen as a seasoning ingredient, but did you know it also has excellent diuretic properties. -Make parsley tea by putting two teaspoons of dried parsley leaves in a cup of boiling water. -Let it steep for 10 minutes. -Drink it up to three times a day. -You can also drink a mixture of fresh parsley juice and lemon juice. Have a favorite already? Let us know!